WASHINGTON – The two front-runners for Arizona’s 2016 Senate race have raised nearly $6 million between them, new reports show, kicking off what experts say could be a year of heavy spending on elections in the state. 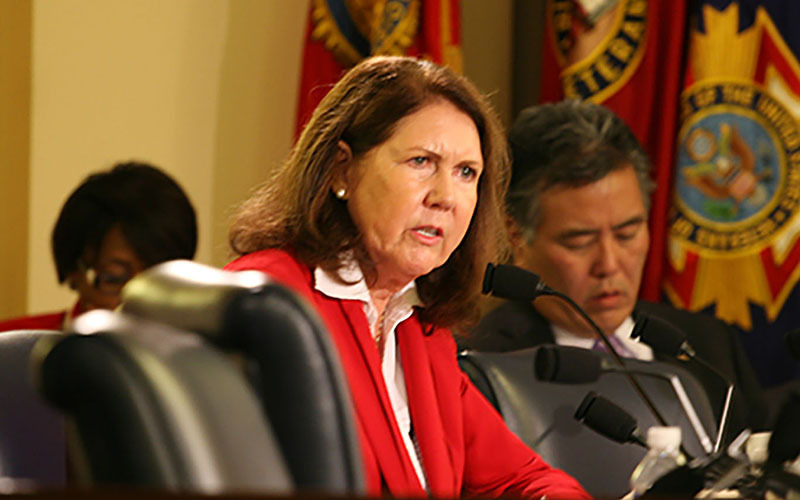 In filings with the Federal Election Commission posted Tuesday, Republican Sen. John McCain reported raising $4.6 million so far this year to the $1.26 million reported by Rep. Ann Kirkpatrick, D-Flagstaff, who is running to unseat McCain. Kirkpatrick, who announced her challenge in May, “thrives as an underdog” and is not intimidated by McCain’s deep pockets, a campaign spokesman said Tuesday. But political experts said any challengers to McCain will have their work cut out for them. “Sen. McCain has the advantage of (being) an incumbent senator with a long service record and so that’s just a formidable opponent,” said Ruth Jones, an Arizona State University political science professor. That has not deterred challengers. 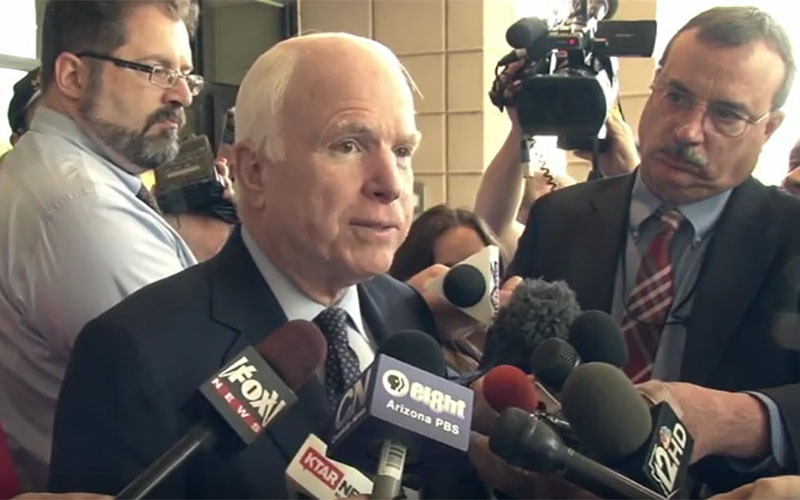 McCain, seeking his sixth consecutive Senate term, already has two primary opponents. Third-quarter campaign finance reports for those challengers, State Sen. Kelli Ward, R-Lake Havasu City, and Scottsdale business owner Alexander Meluskey, were not yet available Tuesday. McCain’s third-quarter fundraising outpaced Kirkpatrick’s, at more than $1 million for him in the quarter to about $570,000 for her. Kirkpatrick reported having $766,604 on hand as of Sept. 30 while McCain reported just under $5 million in the bank. “You wouldn’t expect her to be able to go toe-to-toe … dollar-for-dollar” with McCain, said Kyle Kondik, managing editor of Sabato’s Crystal Ball at the University of Virginia. But Kondik said Kirkpatrick “would need to up her fundraising” to successfully challenge the incumbent. Jones said in order for Kirkpatrick to defeat McCain, she would need to have “a few breaks along the way,” such as McCain facing a difficult Republican primary – a scenario that Kondik said would lead to more funding headed toward Kirkpatrick. Even if Kirkpatrick can’t ultimately win, Democrats have an interest in a tight race, said Kondik, whose publication changed its Arizona Senate forecast from “likely Republican” to a less-certain “leans Republican” earlier this month. The more money national Republican organizations spend to help McCain’s re-election, the less there is for races in other states, Kondik said. He said that if McCain does falter and lose the primary, Kirkpatrick would enter the general election tied or even the favorite. Jones said that anyone looking to defeat McCain will have to raise a significant amount of money and establish a big grassroots organization. The latest campaign finance reports come the same day that Emily’s List, which supports Democratic women candidates, targeted McCain as one of five Republican senators it was putting “on notice” for what it called the lawmakers’ anti-woman and anti-family records. That notice does not come with funding, however. Since McCain took office in 1986, he has never had a margin of victory smaller than 24 percentage points in a primary or 21 percentage points in a general election. And he is raising funds at a faster clip than he did for his last election, in 2010, when he had raised about $4.2 million by this point in a race that would eventually amass an $18.43 million campaign fund. But a Kirkpatrick campaign official said she relishes the challenge. “Ann thrives as an underdog, and the proof is in her decisive victories in one of the nation’s toughest swing districts,” said campaign spokesman D.B. Mitchell, in an emailed statement Tuesday. “So while John McCain’s three decades in Congress will ensure he is well-funded by special interests, Ann will be well-equipped to run strong and fight hard against McCain and his dark-money friends,” Mitchell added. McCain’s campaign could not be reached for comment Tuesday. But experts said that, ultimately, he remains the favorite. “McCain’s been through these battles many times before,” Kondik said.